We present our friendly companies to find alternative accommodation and some activities to do in l'Estartit. L’Estartit is a privileged place. The variety of different landscapes, the long beach, and the tourism, shopping and leisure opportunities make this Costa Brava area an ideal spot for enjoying pleasant, comfortable holidays at any time of the year. Strolling through the narrow streets or along lively Carrer de Santa Anna, visitors can imagine the pace of life in former times, the seafaring traditions, the old sailors’ taverns and the picturesque processions on religious feast days that can still be seen today. At the Estació Nàutica (Nautical Station) the visitor can find a wide range of activities for all ages and abilities, the highest quality accommodation and cuisine, including street theatre, exhibitions, traditional celebrations and local fares, musical performances, visits to places of cultural interest... and much more. L’Estartit is a holiday destination with everything to offer from thrilling activities, excitement and adventure to complete relaxation and rest. Unisub has one of the best and oldest centres in the whole of Spain. Situated in a unique location on the Costa Brava. Just 30 kms from Girona, you can find the small costal village of L’estartit. Since 1965 this has been the home of Unisub, with nearly 53 years experience of serving divers from all over the world. Unisub is considered one of the best centres to take you diving into the marvellous underwater world of the Costa Brava and the Medes Islands. Our high standards and experience complete your holiday dreams of having unforgettable dives and will convert you into into a Unisub addict. Aquàtica offers a relaxed and pleasant atmosphere, as well as highly professional advice since 1996. Come enjoy the seabottom at l'Estartit and at the Montgrí, Medes Islands and Lower Ter Natural Park. A rural area in Lower Emporda in the heart of the plain of the Lower Ter, where you can taste the salads, fruits, vegetables, grilled meats, seasonal dishes more appetizing. Come to visit the winery where the wines of La Vinyeta are made, stroll through the vineyards, smell the odor of the barrels and enjoy the familiar treatment of this winery. The first thing we see from our house in the morning is the vineyard and the winery. It´s our home´s backyard. Our winery is just a stopover for grapes before they turn into wine. We are determined to let the wines talk about terroir: about Sauló and slate soils, about the fierce Tramontana, about Lledoner and Carinyena… We want to convey the essence of Empordá, making good wines that make people think and cause them to smile. We like to consider our winery as a welcoming place, where people can enjoy the art and culture of this corner of the world. The Medes Camping is located in the heart of the Natural Park of the Medes Islands, Lower River Ter and Montgrí Mountain. It offers plots and bungalows. Nus de Pedra is a splendid Catalan farmhouse in 1622 which is located in the heart of Valley Llémena in a stunning setting with fields, forests, volcanoes ... an ideal place to enjoy rural tourism. We also offer our facilities for holding and organizing events, conferences and meetings as well as social events, weddings, christenings ..
Modernity and twenty years of experience define perfectly the Hotel Alimara Barcelona. 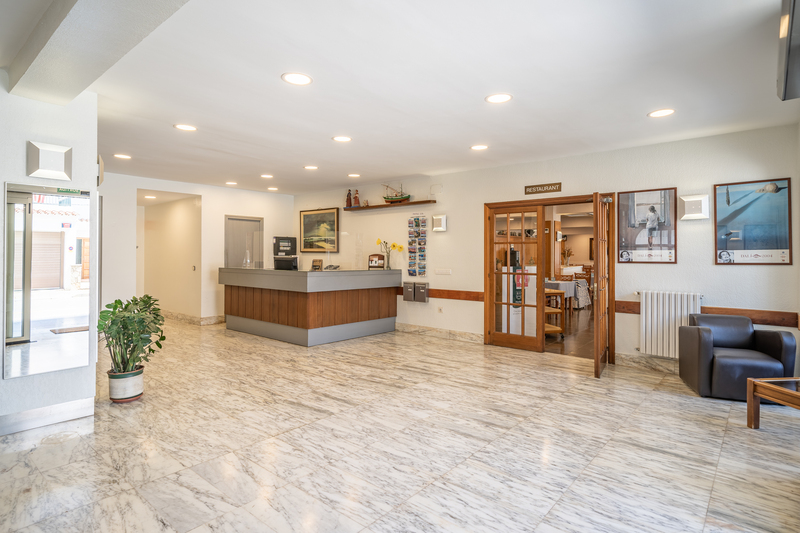 The four-star hotel, which is located in the iconic borough of Horta and next to the Hospital Vall Hebron, offers a brand new image with a total facilities makeover. Blending what an urban hotel requires with the warmth, comfort and convenience for both, leisure and business stays.